Classical guitarist Brian Torosian will perform a solo recital for the McHenry County College Second Sunday Concert Series at 3 p.m. Sunday, Nov. 11 in the Luecht Conference Center. Brian Torosian, active soloist and chamber musician, will perform on his 10-string guitar, “An Afternoon at The Opera,” featuring concert works on operas of Bellini by J.K. Mertz. Torosian is best known for his work relating to 19th-century guitarist and composer J.K. Mertz. In addition to standard six-string guitar, he plays baroque guitar, Terz guitar, and 10-string guitar replicas, the latter two including those made for him by R. E. Bruné after 19th-century Viennese instruments. 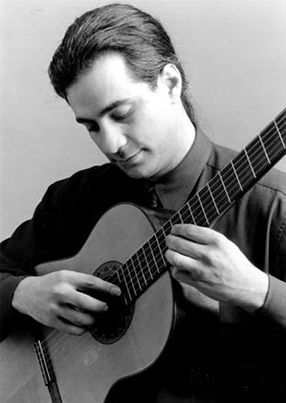 He is president of the Chicago Classical Guitar Society and directs the guitar program of Northeastern Illinois University where he is a multiple recipient of the Instructor Excellence Award. Torosian received his bachelor’s, master’s, and doctoral degrees from Northwestern University. He was a student of Anne Waller and studied with Oscar Ghiglia in Italy at the Accademia Musicale Chigiana where he received the Diploma of Merit. Concert performances include appearances with Chicago Symphony Orchestra, Grant Park Symphony, Chicago Opera Theater, His Majesties Clerkes, and Classical Symphony Orchestra. His recordings include a collection of Mertz’s guitar and piano duos. The college is located at 8900 U.S. Hwy. 14 in Crystal Lake. The concert is free and open to the public. For more information, contact Mike Hillstrom at (815) 479-7814.